This is not a diet. In fact, I am not a dieter. I decided a long time ago to make peace with my body, since it is the Earthy vessel that was given to me & I made up my mind to treat it with respect, not angst. My lifestyle choice is to enjoy all things in moderation. To not make myself for guilty for that 2nd 4th glass of wine, to have experiences & not deny my cravings. While I excelled at decreasing my gluten intake the second half of last year, I just as excellently fell of the wagon late last month. Dinners with new friends, birthday celebrations & that little eating holiday known as the Super Bowl completely threw me off the life of "moderation" I had been enjoying. Lately, my food cravings have been out. of. control. 2 pigs in a blanket turned into me chain eating 10+ & when I was licking the guac bowl in the 3rd quarter, I knew that I needed to re-think my eating priorities. I had seen the Dr. Ox Detox juice cleanse floating around Pinterest & after seeing Jill do it with success, I decided to take the plunge. I knew my body could definitely use me hitting the reset button! I have been a long time enjoyer of the green smoothie (spinach/kale + fruit) & appreciated that this cleanse was only 3 days (totally doable! ), with ingredients found at my local Kroger, for under $20/day. Following the 3 days, I didn't feel crazy different, but I did notice that my binge belly bloat was gone (I don't have a working scale, so I'm not sure if that translates to any weight lost). I am not a breakfast eater, but I do hope to continue with the green tea morning routine. Morning drink - prepared as is, favorite! While the amount of juices made me feel full (I didn't even eat the snack smoothie), I never actually felt satiated (might have something to do with the lack of fats, sugars & gluten). This wasn't a radical "lose 20 lbs in 3 days" type diet; however, I do feel as if my body has been reset & my eating priorities are back in focus. Looking to try Dr. Ox's detox? Feel free to shoot me questions, or share your experiences in the comments! I must try this....thanks for the info. This sounds promising! I want to try something like that when I'm done with pregnancy. Thanks for the review and keep up the goof work, girl! Thanks for sharing. I know the feeling of needing to "reboot" your eating, especially after holidays or stressful periods. I love starting my day with a healthy, green smoothie; I feel like I eat healthier meals when I start with a ton of vegetables in my system. I've never done a juice cleanse (I have a love affair with solid foods), but I have done a detox before. I did the first phase of the Fat Smash Diet, which is nine days. No bread, coffee, alcohol, added sugar, etc. It's basically limited to fresh fruits and vegetables, legumes, tea, and a few other things. It was a great way to cleanse after all of the holiday indulgences! 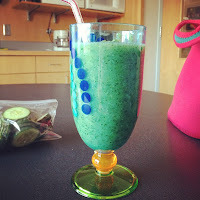 I've never done a juice cleanse, though I did just complete the Bon Appetit Food Lovers' cleanse, which I loved! 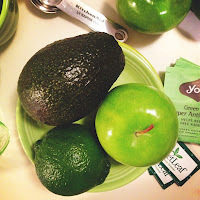 It was a great way to reset my eating as well as my cooking...I'd gotten so lazy in the kitchen. Plus I lost a little weight which was nice! 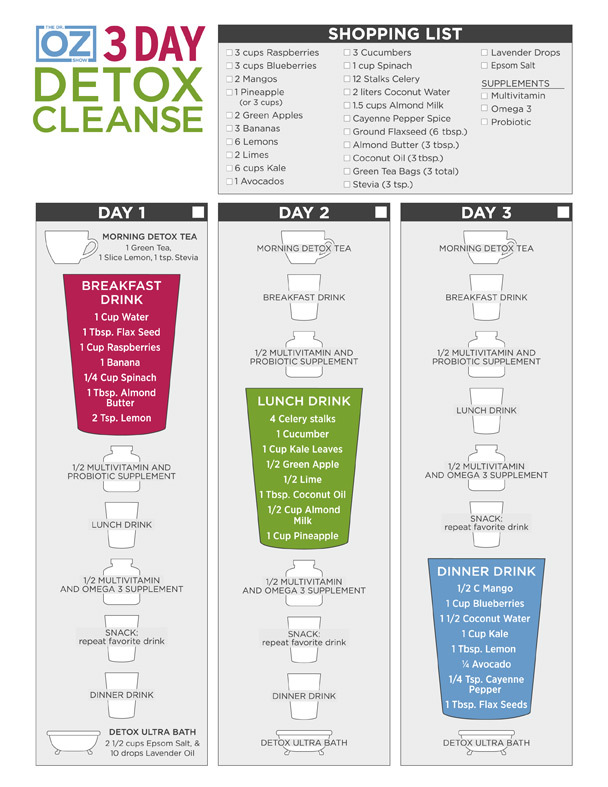 It's good to know this worked for you, I might have to try it if I need a true cleanse! I haven't tried a juice cleanse before, but I've always wanted to try one. Thank you for doing the review on this! I think I would have problems too with the no caffeine and no salt (I AM A MAJOR salty foods person, could care less for sweets). It would be good to help with eating as I'm trying to also be healthier! Interesting. Definitely think I'm going to try this baby. I had seen it on Jill's page but totally forgot about it. I'm thinking about trying out Gluten-Free so this may be a really good segway! Thanks for sharing. Very great info about detox. Seriously just told me husband last night that we are doing this detox this weekend. I am feeling the same way as you with my eating lately and am glad to hear it helped you to 'reset'. Just what I'm looking for! Great info about cleansing. Good post! This makes me want to give it a try. Maybe I'll try a smoothie for lunch and see how it goes. That would be a great way to start! "Green smoothies" are a wonderful way to get more kale & spinach in your life - you know those "super foods" that I never know what to do with! Great! I didn't feel a difference immediately, but on the 4th day when I went back to "regular" eating, I noticed that my belly bloat was gone, and my intense food cravings were back under control. Good luck! I think that is a great habit, I definitely want to keep incorporating my homemade "juices" into my regular eating! Hope you feel better soon! I am all about indulging in some comfort foods from time to time, but getting back on the "clean eating" train really took a drastic jumpstart this time around, & I am so happy I did it! Same here! I LIVE for my afternoon diet coke and salted popcorn break, & while it was hard to go without (I might have tried to tackle le boyfriend when he was drinking diet coke on the 2nd day.... *might*) it was a great "reset", food cravings & belly bulge be GONE! "Getting lazy in the kitchen" was how I rolled before I started to incorporate more gluten-free cooking in my life. Before it was chicken & pasta every night, but now I am learning to cook quinoa, put kale in everything, and even trying some gluten-free baking! Cheers to putting GOOD into our bodies! I do love my solid foods too :) The Fat Smash sounds intense, but effective! Agreed! If I put good stuff in first, then I don't have as much room to troll for junk the rest of the day! You might need to supplement this plan just a little bit so you have enough energy to take care of the baby, but I do recommend it for anyone wanting to jumpstart healthier eating!